Rob Kooijmans has over 22 years experience in the international food industry and he has held various senior positions as QA director and VP QA. He has worked for large multi-nationals like Unilever and DSM and also for large privately held companies like Farm Frites. For over 4 year Rob is the co-founder and co-owner of FoodRecall.nl – a boutique consulting agency for the food sector and Food Safety Experts – an on-line training and coaching business aimed at quality managers in the international food industry. 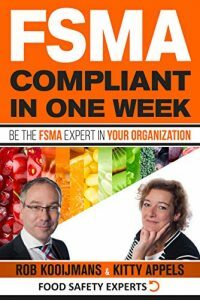 Rob is a celebrated speaker and author in the areas of quality and food safety. As a business professional (with an experience of over 25 years in the corporate world), Jean has provided business coaching and consultancy in the corporate field of Marketing, Product Management, Business Strategy, and Business Development, primarily for Fortune 100 companies. Through his work in both business and dance industries, he began to realize the similarities in thought required for performance coaching to produce top competitors, regardless of the arena.